Disney Cruise Line ships are the first and only cruise ships built and operated by the dreammakers at Disney. Onboard, guests of all ages will enjoy unforgettable dining experiences, Disney-style entertainment, and areas and activities created specifically for adults, families, and children. Escape on a fantasy unlike anything you've imagined. 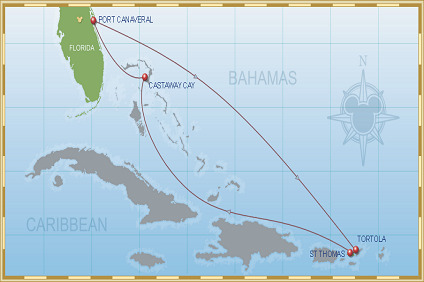 A Disney Cruise Line® vacation. Here, adults find excitement and indulgence. Children have the time of their lives. And all make memories to last a lifetime. 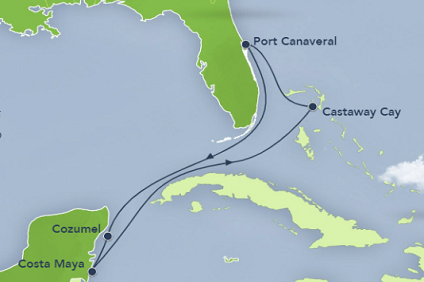 So start planning your Disney Cruise Line vacation today, and set sail on a dream. Experience incredible onboard activities! There is something for cruisers of all ages! Separately or together, from original Disney stage shows to dance and comedy clubs, there's fun for everyone onboard. Open-air deck parties are always happy celebrations, and a different dining experience takes place every night. Fantastic programs just for kids and teens, and there's even something special for the littlest of cruisers. And while the kids are having a great time on their own, they also provide indulgent pampering just for adults. 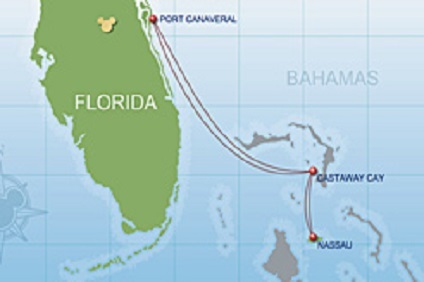 7 Night Cruise sailing from San Diego roundtrip aboard Disney Wonder. 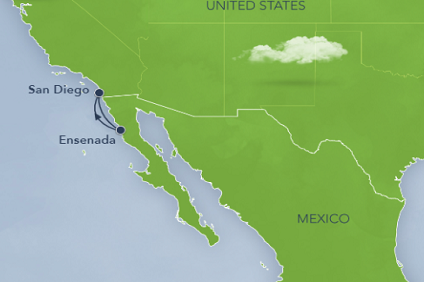 3 Night Cruise sailing from San Diego roundtrip aboard Disney Wonder. 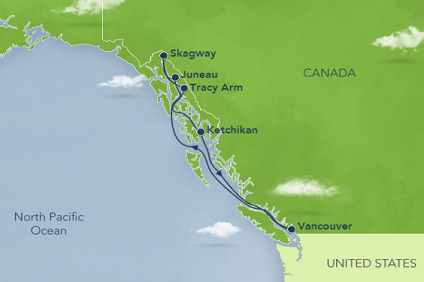 7 Night Cruise sailing from Vancouver roundtrip aboard Disney Wonder. 7 Night Cruise sailing from Barcelona roundtrip aboard Disney Magic. 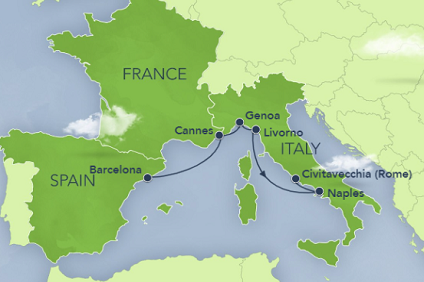 6 Night Cruise sailing from Barcelona to Rome aboard Disney Magic. 8 Night Cruise sailing from Rome roundtrip aboard Disney Magic. 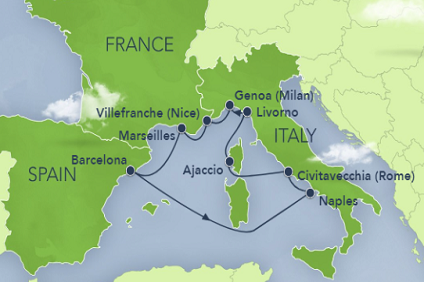 7 Night Cruise sailing from Rome to Barcelona aboard Disney Magic. 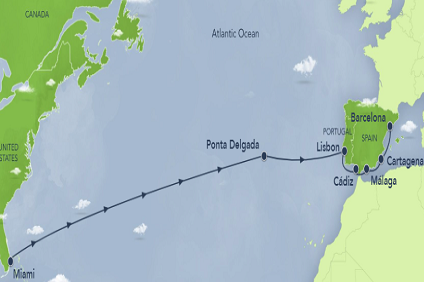 10 Night Cruise sailing from Barcelona rountrip aboard Disney Magic. Sample the flavors of the world with Disney Cruise dining. Enjoy a wide range of delectable delights for the whole family. Gather together to share stories of your day as you "rotate" at dinnertime through three uniquely themed restaurants with distinctive cuisine — staffed with your personal servers who accompany you throughout your cruise and cater to your every taste. Savor a dining experience that caters to the magic of animation. Step into an ever-changing environment that begins in black and white, and blooms into the wonderful world of color from Disney's classic animated films. Enjoy both fabulous food and the brilliance of Disney's greatest artists in a marvelous meal that's always a celebration. Enjoy fine dining "under the sea" in this elegant setting in the Disney Wonder®, named after the King in Disney's animated classic, "The Little Mermaid." Savor delicious seafood specialties, along with a wide range of delectable delights amidst a dazzling Art Deco environment. Become a member of a royal family — at Triton's. Dine in style in this stunning setting in the Disney Magic®, named after the candelabra with elegant tastes from Disney's animated classic, "Beauty and the Beast." Savor Continental cuisine with a French flair amidst the splendor of an Art Deco theme, highlighted with a gorgeous rose salute to the film. Be Our Guest — at Lumiere's. Step into a bright and festive world. Be surrounded by brilliant colors, beautiful chandeliers and a bountiful bamboo and green-leaf motif. It's a setting filled with the joyful sounds, the inspiring feelings and — most of all — the savory delights of the Caribbean. Experience elegant dining in an intimate atmosphere exclusively for adults. Treasure a romantic dinner and, on longer cruises, an exquisite champagne brunch or a relaxing afternoon high tea. Engage every one of your senses with the sweeping ocean view, unsurpassed service and inspired Northern Italian specialties. Buono Appetito! At dinner, dress shirt or jacket are required for men; a dress or pantsuit for women. No jeans allowed. At brunch and high tea attire is "cruise casual" — no shorts, jeans, swimwear or tank tops. For your convenience, a 15% gratuity is automatically added to bar, beverage, wine and deck service tabs. All gratuities can be charged to your room charge. At the Walt Disney World Resort, 15% is the customary gratuity at restaurants and bars. With practically an entire deck devoted to kids, there's non-stop fun each day from 9 a.m. to midnight for five distinct age groups. Kids ages 3 to 7 make magic at Disney's Oceaneer Club. Kids 8 to 12 explore the universe at Disney's Oceaneer Lab. Teens enjoy their own private hangout at a New York-style coffeehouse called Common Grounds. And with your kids practically begging to join their new friends each day, you might be tempted to engage in a little fun of your own, from relaxing in an adult-only pool area, to daily activities like wine-tasting or cooking demonstrations. 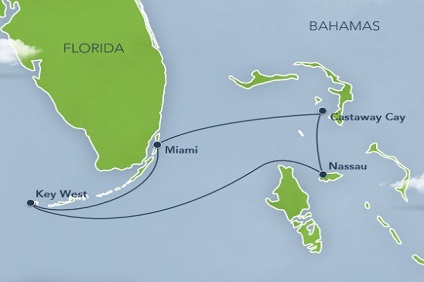 Discover an awesome world of Disney-style cruise activities for Guest of all ages. Trained counselors help kids join in hands-on fun and Teens enjoy an area that's just for them. Adults can keep busy — or just relax — all day and night. Choose to have family time or individual time throughout your cruise; whatever you do, every choice is sure to yield lifelong memories!